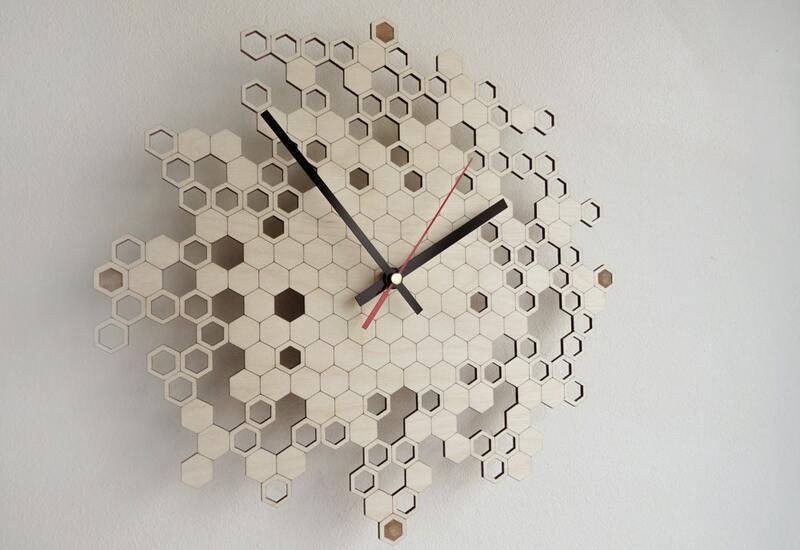 This wooden wall clock is inspired by a honeycomb. 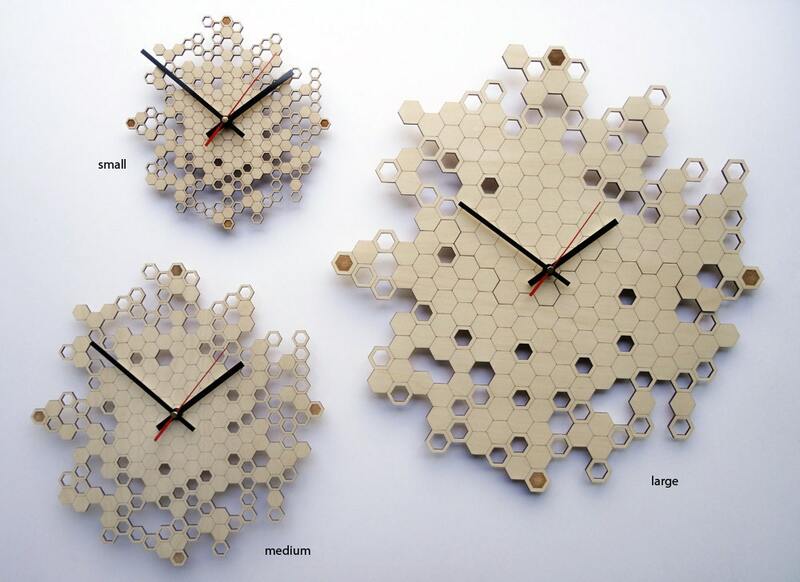 Honeycomb clock TWO has small engravings for the 12, 3, 6 and 9. 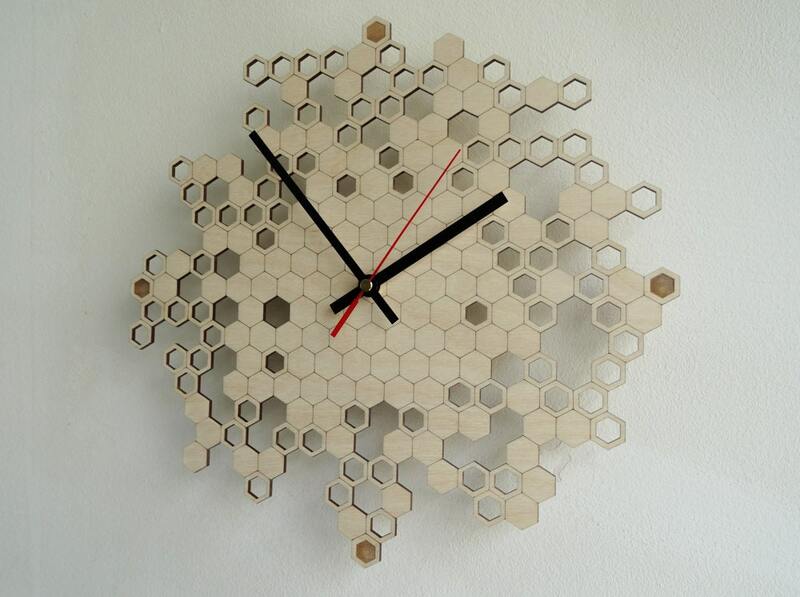 The hexagonal cells are randomly placed and either filled or left empty. The side of the wood is black, resulting in beautiful depth and contrast. 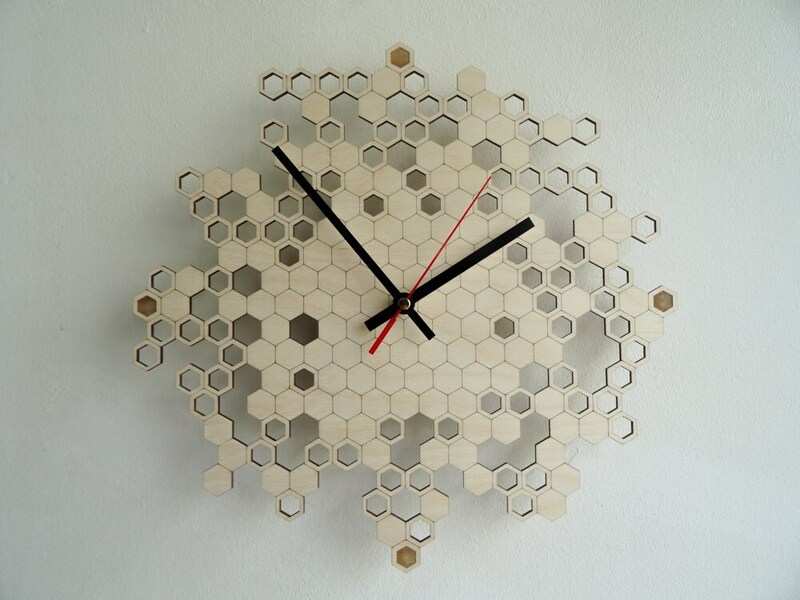 Are you looking for Honeycomb clock ONE? Without engraving?